We’d love your help. 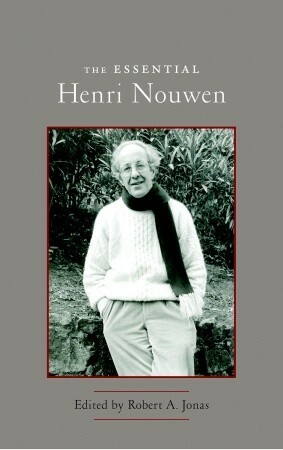 Let us know what’s wrong with this preview of The Essential Henri Nouwen by Henri J.M. Nouwen. The insights of Henri Nouwen have shown millions of people how to choose joy in any moment—even moments full of pain and brokenness. Few spiritual writers have ever spoken so powerfully and directly to the heart as he did, in part because he compassionately bared his own soul and struggles to his readers, but also because he deeply understood that God can be discovered in every aspect of ourselves, even—almost especially—in the parts we find difficult to acknowledge. To ask other readers questions about The Essential Henri Nouwen, please sign up. "Drinking the cup of life makes our own everything we are living. It is saying, "This is my life," but also, "I want this to be my life." Drinking the cup of life is fully appropriating and internalizing our own unique existence, with all its sorrows and joys." "There is a temptation of pride [among social activists]. Everyone who wants to change society is in danger of putting himself above it and being more conscious of the weakness of others than of the weakness in his own soul. The reformer, "Drinking the cup of life makes our own everything we are living. It is saying, "This is my life," but also, "I want this to be my life." Drinking the cup of life is fully appropriating and internalizing our own unique existence, with all its sorrows and joys." Another book to be read one day at a time. I just LOVE Nouwen. LOVE him. I picked up this little book a long time ago when I first heard of him and wanted an overview of his writings (I've since read quite a few of his books). It's broken up by topic, with quotes and excerpts pulled from all of his books, so it's a great place to start if you haven't read Nouwen or just want to read based on specific ideas or topics! The timing of reading this book couldn't be more perfect. This is my first Nouwen read and won't be my last. So much good stuff in here I could have highlighted everything. Important read that both Jesus followers and non-Christians will appreciate. So. So. Good. A book to read slowly, to savor a page or two at a time. The insights he has to share are so powerful, you'd be doing yourself a disservice not to stop and meditate on them. Life-changing. Without a doubt. I like his thinking. This book is a compilation of different bits of different books. I think I'd do better to read each book. It seems like it would flow a bit better. I know this is my personal reading style so it's not necessarily a fault of the book. With very interesting details of Henry's life, this was a great sample of his work, it made me read many more titles! A very profound teacher with lots to offer in this book. Nouwen's books are widely read today by Protestants and Catholics alike. The Wounded Healer, In the Name of Jesus, Clowning in Rome, The Life of the Beloved, and The Way of the Heart are just a few of the more widely recognized titles. After nearly two decades of Henri Jozef Machiel Nouwen (Nouen), (1932–1996) was a Dutch-born Catholic priest and writer who authored 40 books on the spiritual life.